Top producing real estate agents are increasingly turning to content marketing because they recognize its long-term effectiveness in improving their visibility, search engine ranking and lead flow. These agents build reputations as their farm’s leading expert. Prospects in their firm learn that they’re capable of providing more value than low-cost alternatives thanks to consistently publishing content that demonstrates their expertise. Successful content marketing is like romance; success requires time and attention, but with enough passion it feels effortless and fun. Content marketing sidesteps traditional advertising; instead of a salesy pitch, its content centers on forming relationships with consumers by providing information that answers their questions, solves their problems and improves their lives. Many agents live and work where they sell property and want to produce useful content for their clients and prospects because they care about their communities. In this article, we’ll describe some of the creative ways real estate agents use content marketing to turbocharge their geographic farming and amp their search engine optimization (SEO). Effective content must be appealing, informative and, most importantly, unique. Someone else’s content won’t cut it – search engines look for one-of-a-kind articles and videos when determining relevancy and prominence in search results because they know generic posts rarely draw readers. And article engagement is one of the key metrics they use to rank search results. Poor, generic content also irks the readers who read it. They may appreciate the occasional curated social media post, but they will not value mailers and email full of the same content every other agent pushes. For agents who don’t have a skilled writer on their team, freelancers are a great option. You can expect to pay between $50 and $150 per 500-word article, and should plan on at least two per month to gain traction. You could also consider purchasing just one freelance article each month and supplement it with a post you write or produce through another medium such as video. Many top agents choose a third option, and use a marketing company like Discover Pubs that provides unique content under their name. Providing useful information to buyers and sellers is a crucial part of a real estate agent’s job, so it’s no surprise that they’ve jumped on content marketing. We summarize some effective content strategies agents use below: blogs, social media, local publications, email and SEO. Blogs are one of the best ways agents can keep clients and prospects thinking about and engaged with their business. However, agents must regularly update their blog if they want to see results. That means creating an editorial schedule or working with a company like Discover that posts original content for them. The good news for real estate agents serious about content marketing is that they don’t have to search far to find new material. They can write about topics their clients and network will always care about: new local businesses, nearby neighborhoods, the local fireworks show — the list goes on and on. Agents looking to gain traction should also experiment with mediums. Videos, in particular, provide potential clients a valuable glimpse into an agent’s personality. A solid content marketing strategy centers on piecing out a single piece of content on many different platforms. Social media is a blog’s natural partner. Agents should promote each post they create multiple times on each of their social media accounts to drive traffic back to their website. Many agents already use social media to highlight new listings, client testimonials and more. Few, however, leverage these networks to disseminate unique local content, which means those that do have a huge opportunity to stand out. Many top agents aggressively market their geographic farms. The world is no doubt digital, but many might not know that direct mail delivered an ROI 600 percent higher than all digital channels combined last year, according to the Data and Marketing Association’s 2017 annual marketing report. In fact, in 2016 response rates for direct mail were the highest in over a decade, the report showed. An effective multichannel content marketing plan fits hand in glove with geographic farming. Many top agents implement a content strategy by mailing custom publications or newsletters with content tailored to their farms. When agents publish local events and useful information about the local housing market, homeowners begin to recognize them as experts and market leaders. 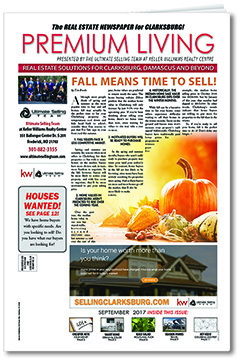 Agents might have staff create a newsletter or real estate newspaper, or work with a company that can build it for them. Discover offers agents direct mail publications that include custom local content, which is also repurposed for digital content marketing. Storytelling is one of the most popular and effective forms of email marketing. Instead of selling, agents should craft content that has a hook and includes a beginning, middle and end. For example, you could write an email about the history of a neighborhood or list a few of the reasons why spring is the best time to sell a home. Keep your content marketing emails short – instead of pasting an entire article into an email, just tease the first few sentences. Then, add a “READ MORE” link that directs readers to your blog for the full story. This will drive more traffic to your site and help you track which articles appeal to your prospects. Search engines match users’ search queries with relevant websites, which supports the art of search engine optimization (SEO). You want your website to pop up when prospects enter a query for the services you offer. Search engines constantly tweak their algorithms, so real estate agents should keep abreast of the latest SEO best practices to get the most out of content marketing. One of the core, effective strategies involves monitoring the keywords and phrases that prospects most search on Google. We outline elements of an effective SEO content strategy below. Do your research. Simply by typing in their website address into the free tool SimilarWeb, agents can discover the exact keywords consumers use to get to their website and those of up to four of their competitors. Agents can also use Google AdWords to find the best keywords for their local market. Find your content niche. Ideal keywords likely overlap with those targeted by competitors. Focusing on a niche market and developing it with relevant content can help agents dominate a section of their market. For example, an agent may be an expert in downsizing empty-nesters. If agents create content targeted to this audience, the niche-specific content will attract more people from that group and, thus, decrease customer acquisition costs and increase conversion rates. Use email and direct mail to drive high-quality traffic. Many agents don’t associate direct mail or email marketing with SEO, because these channels don’t connect directly with a search engine. But traffic from these sources can still help because, according to several SEO experts, quality traffic increases search engine rankings. That’s important because website visitors from direct mail and email sources often spend more time on site and engage to a higher degree — aka represent high-quality traffic — than other traffic sources. For one, don’t overthink SEO. One of content marketing’s magical properties is that SEO drastically improves once agents begin a consistent marketing program, even if they don’t research keywords. In many cases, the optimal keywords and phrases that boost SEO already live in a good piece of content. Google works hard to close SEO loopholes so that it delivers the best possible content to searchers, which is exactly what quality real estate content marketing is all about. Content marketing may be time-consuming (at least for do-it-yourselfers), but it doesn’t have to be hard. Consistently creating local content and distributing it effectively each month is the most critical component of a successful content marketing strategy. These days, real estate agents focused on demonstrating expertise rather than “selling” win. With the right content marketing strategy, agents can foster lucrative relationships with their farms and dominate the market. Discover Publications can help you become a thought leader in your community through focused content marketing campaigns. You can have Discover put out personalized publications to your exclusive sales territory, send compelling emails, post content to a blog built just for you, and update your social media channels with your custom content without lifting a finger.